Jude Terror in Bleeding Cool. 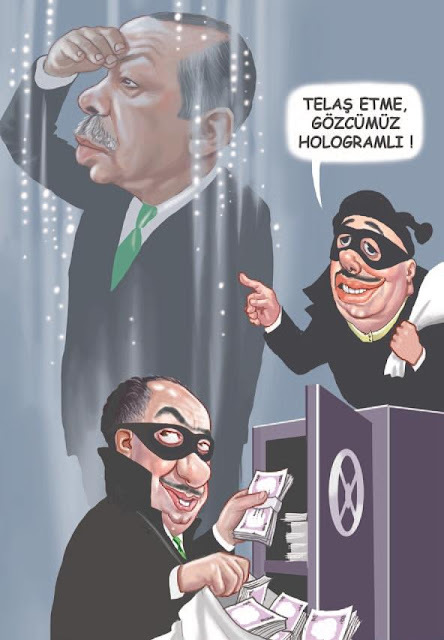 This cartoon by Cumhuriyet cartoonist Musa Kart led to an 2014 arrest. It shows Edrogan looking the other way from a money laundering scheme inside the government. Last November, journalists from Turkey’s opposition newspaper Cumhuriyet were arrested as part of a political crackdown by the Turkish government responding to a failed coup that almost ousted President Recep Tayyip Erdogan the previous July. 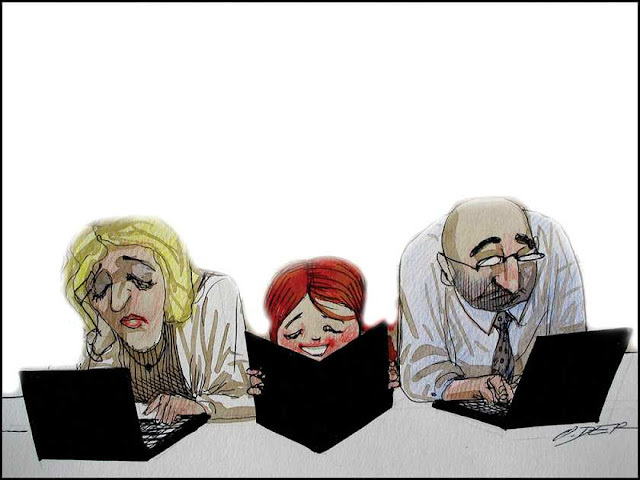 "Daily Funnies: An Exhibition of Strip Cartoons" will open to the public on July 25th.. The exhibition will feature examples of many well-known cartoon strips from British newspapers and magazines from the past 100 years. Leah Sandals in Canadian Art. Reports this week of the latest financial problem for American photographer Annie Leibovitz—who in 2009 nearly had to file for bankruptcy and in 2010 was sued by a company who says it was unpaid for helping to restructure her debt—have unexpectedly placed a spotlight on a little-known Canadian group called the Canadian Cultural Property Export Review Board. Oleg Dergachov's first cartoon for the Montreal Gazette appears today. He will share cartooning duties with Aislin, Boris, Nicole Fisher, Gigot, Grooch and Frederic Serre. Alec Scott in The Globe and Mail. 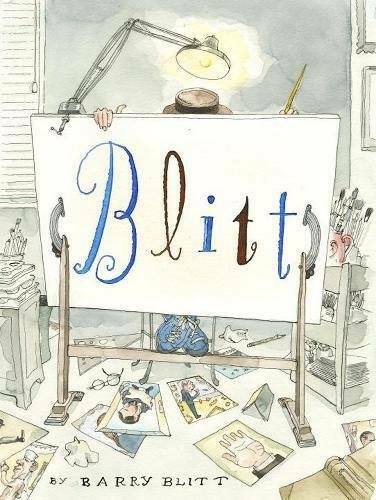 Flipping through the recently released book of illustrator Barry Blitt's work for various top-tier North American magazines is like watching three decades in the life of this culture pass before your eyes. 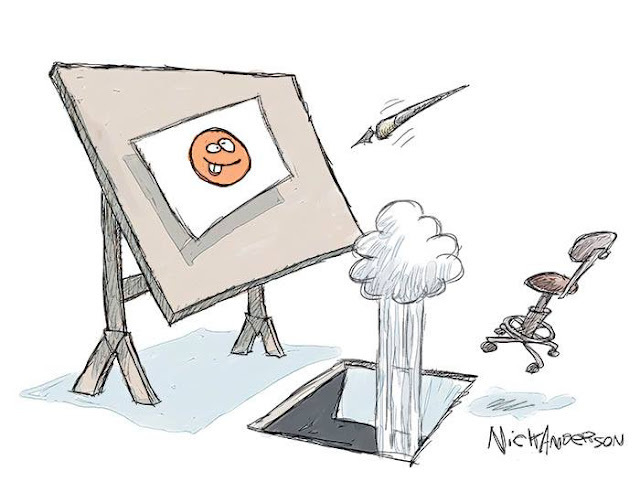 Houston Chronicle cartoonist Nick Anderson announced today on his Facebook page that he was the latest victim of the layoffs in the newspaper industry. An update of the article published in The Canadian Encyclopedia. 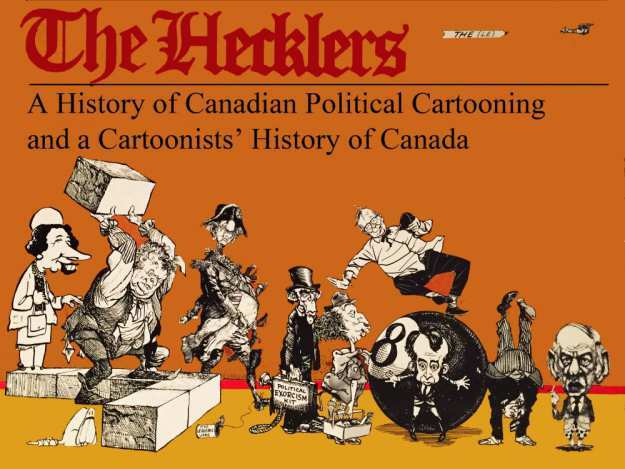 The Hecklers: A History of Canadian Political Cartooning (1979), Peter Desbarats and Terry Mosher. 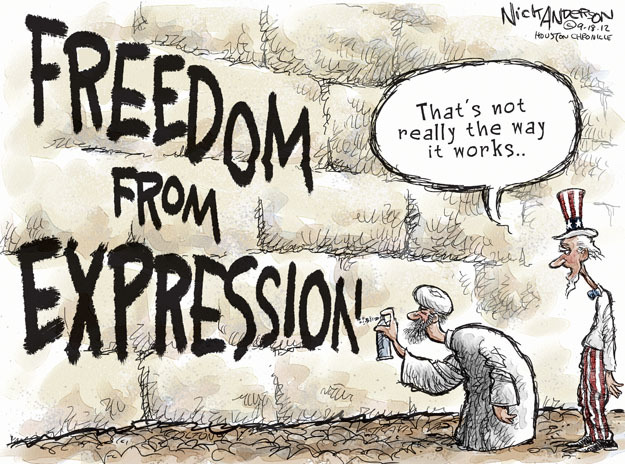 The art of the political cartoon as we know it in Canada today began in the 1870s when John W. Bengough (1851-1923) started publishing the satirical magazine Grip. Virginia cartoonist Clay Jones discovered this week that a cartoon of his lampooning the president had been awarded a citation in the Trumpism Cartoon and Caricature Contest, as announced Monday by Iran’s House of Cartoon in Tehran. 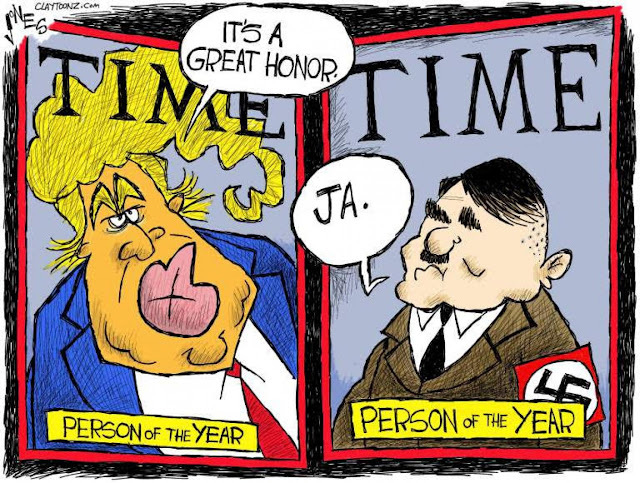 His cartoon spoofed Time magazine’s 2016 selection of Trump as “person of the year” by drawing a comparison to Hitler, whom Time named its “man of the year” in 1938. A Vancouver comic book collective is working closely with refugees like Mohammed Alsaleh, who fled from Syria, to help them tell their stories. 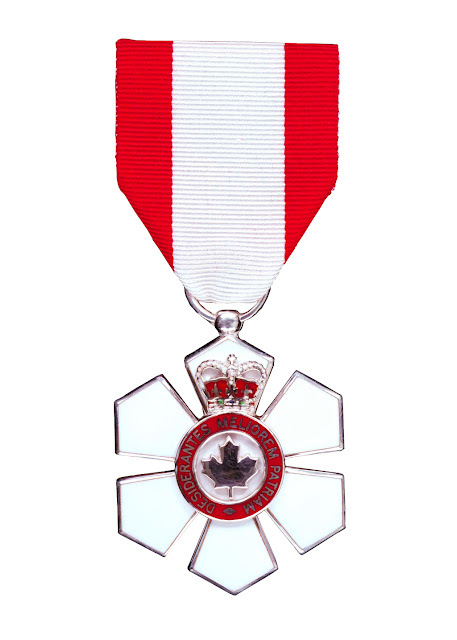 The Order of Canada is receiving 99 new members, including Globe and Mail editorial cartoonist Brian Gable. Here is the full list of new members. 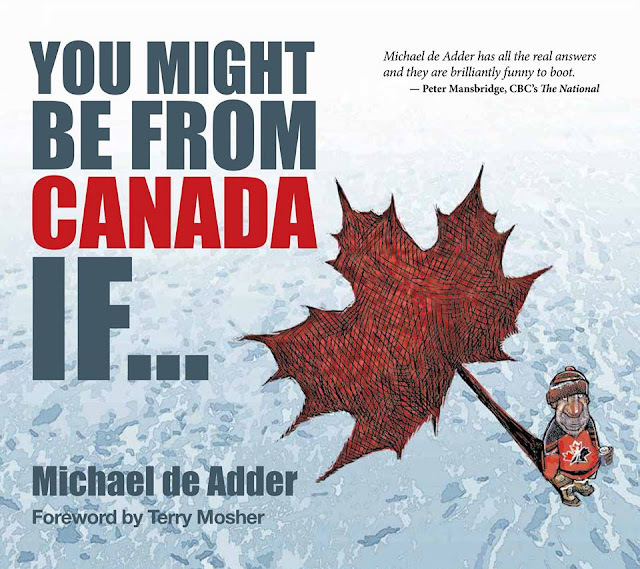 You Might Be From Canada If… is an examination of Canada at 150 by one of the country’s great cartoonist. Michael de Adder draws for the Toronto Star as well as for the Hill Times and The Chronicle Herald. His You Might Be From series of books have sold more than 50,000 copies.